Running on pavement is more repetitive and causes more impact to the joints than running on forest trails. In this article of our series, we look at things you can do to improve your experience of running. Like any sport, or art, running is something you can constantly improve and refine. There’s no end to it. Good physiotherapists can see physical weaknesses and injuries in their clients just by watching them walk. Good running coaches can do the same. How we walk, our gait, and how we run tells us a story. It shows what’s going on underneath. Common running form issues include, excessive trunk rotation, heel striking, incorrect torso and head alignment, poor cadence and striding out too much. All of these can decrease our running efficiency and increase fatigue. Take more smaller steps, letting your legs drop straight down, rather than big strides. Land on your midfoot, not your heels. Landing on your heels applies a braking force. Lean forward slightly as you run. Gravity will support your forward momentum. Pump your arms forward and back, but not across the body. This will support your leg movement. Work on your core strength. This requires more than lots of sit ups. If you’re road running, keep your gaze out at around 10 to 20 m ahead of you. Click here to read more about running form. Running on pavement is more repetitive and causes more impact to the joints than running on forest trails. 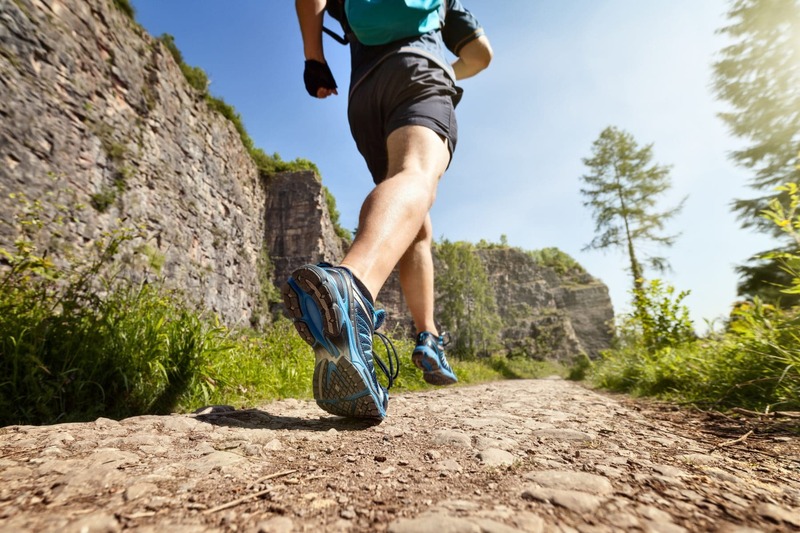 Running on an undulating, natural and uneven trail surfaces improves proprioception (knowing where your body is in space), balance, responsiveness, and can recruit different muscles. Not only that, running on forest and mountain trails helps to counter nature-deficit disorder, a common issue in the modern world. Go for a slow 90 to 120 minute trail run somewhere in the forest or mountains. You don’t have to run the whole way. You can walk up hills, and have breaks to enjoy the views. Make sure you are well prepared: know where you are going, take enough snacks and water, and tell people where you are going and when you’ll be back. We’d love to hear what you’ve learned or discovered from reading this article in the comments below. Stay tuned for the next article in this series scheduled for next week: Resting well. Also check out the previous tips if you missed it!